Move your mouse over the poster to reveal the hidden links! 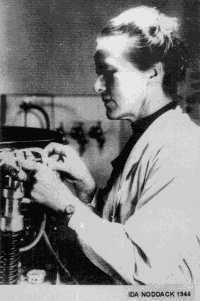 Ida Noddack Tacke (1896 - 1978), was a German chemist and physicist. She was the first to mention the idea of nuclear fission in 1934. With her husband Walter Noddack she discovered element 75 rhenium. She was nominated three times for Nobel Prize in Chemistry. 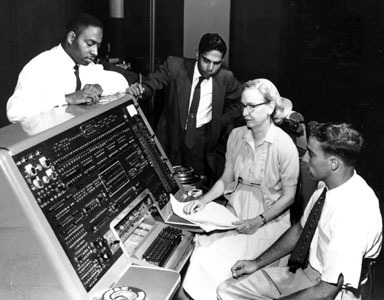 Grace Hopper, computer programmer, designed the MARK series of computers at Harvard in 1944 and coined the term "bug" for a computer fault when a moth caused a hardware fault. In the 1970s, she pioneered the implementation of standards for testing computer systems and components, most significantly for early programming languages such as FORTRAN and COBOL. The Navy tests for conformance to these standards led to significant convergence among the programming language dialects of the major computer vendors. In the 1980s, these tests (and their official administration) were assumed by the National Bureau of Standards (NBS), known today as the National Institute of Standards and Technology (NIST). Lillian Moller Gilbreth, inventor and industrial engineer for General Electric interviewed over 4000 women to design the proper height for stoves, sinks and other kitchen fixtures and was a leader in what we know today as ergonomics. he was one of the first working female engineers holding a PhD. She is arguably the first true industrial/organizational psychologist. She and her husband Frank Bunker Gilbreth, Sr. were pioneers in the field of industrial engineering. Their interest in time and motion study may have had something to do with the fact that they had an extremely large family. The books Cheaper by the Dozen and Belles on Their Toes are the story of their family life with their twelve children. Born in Cold Spring, New York. She met and married Washington Roebling, the son of Brooklyn Bridge designer and civil engineer John A. Roebling on January 18, 1865. When Washington’s father died suddenly of tetanus, he immediately took charge of the Brooklyn Bridge’s construction. Washington then developed caisson disease, which affected him so badly that he became bed ridden. Emily stepped in as the “first woman field engineer” and saw out the completion of the Brooklyn Bridge. Due to her husband's infirmity, Emily took over for her husband and developed an extensive knowledge of strength of materials, stress analysis, cable construction, and calculating catenary curves through Washington’s teachings. She continued for the next fourteen years, dealing so effectively with politicians, competing engineers, and all those associated with the work on the bridge that people believed she was behind the bridge’s design. In 1882, Emily went as the first woman to speak before the American Society of Civil Engineers to defend her husband. Her actions allowed Washington to stay on as Chief Engineer of the Brooklyn Bridge, which was finally completed in 1883. At the bridge’s opening ceremony, Emily was honored in a speech by Abram Stevens Hewitt who said at the bridge was "an everlasting monument to the sacrificing devotion of a woman and of her capacity for that higher education from which she has been too long disbarred." Today the Brooklyn Bridge holds a plaque dedicating the memory of Emily, her husband, and her father-in-law. After the completion of the Brooklyn Bridge, the Roebling family moved to Trenton, New Jersey. There, Emily participated in social organizations such as the Relief Society during the Spanish-American War and served on the Board of Lady Managers for New Jersey at the World’s Columbian Exposition. She also continued her education and received a law degree from New York University. Until Emily’s death on February 28, 1903, she spent her remaining time with her family and kept socially and mentally active. 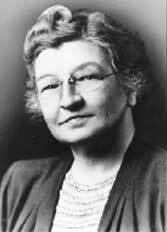 Edith Clark was an electrical engineer and a professor at the University of Texas at Austin. She was the first woman employed as an electrical engineer in the United States, as well as the country's first female professor of electrical engineering. She was the first woman to earn an M.S. in electrical engineering from the Massachusetts Institute of Technology. She invented the Clarke calculator, a simple graphical device that solved equations involving electric current, voltage and impedance in power transmission lines. The device could solve line equations involving hyperbolic functions ten times faster than previous methods. She applied for a patent on the device in 1921. Clarke was the first female Fellow of the American Institute of Electrical Engineers. In 1954, she received the Society of Women Engineers Achievement Award. 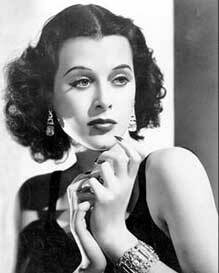 Hedy Lamarr (November 9, 1913 – January 19, 2000) was an Austrian-born American actress and scientist. Though known primarily for her acting (she was a major MGM contract star), she also co-invented an early form of spread spectrum communications technology, a key to modern wireless communication. Several awards for outstanding teaching and mentoring, creative curriculum development and outreach activities. Recognized as the only educator in Massachusetts for Engineering Technology advancement by Mass High Tech Magazine, 2003. 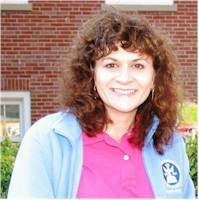 Dr. Panetta is the recipient of several NASA and National Science Foundation Research Grants, including the NSF CAREER Award. 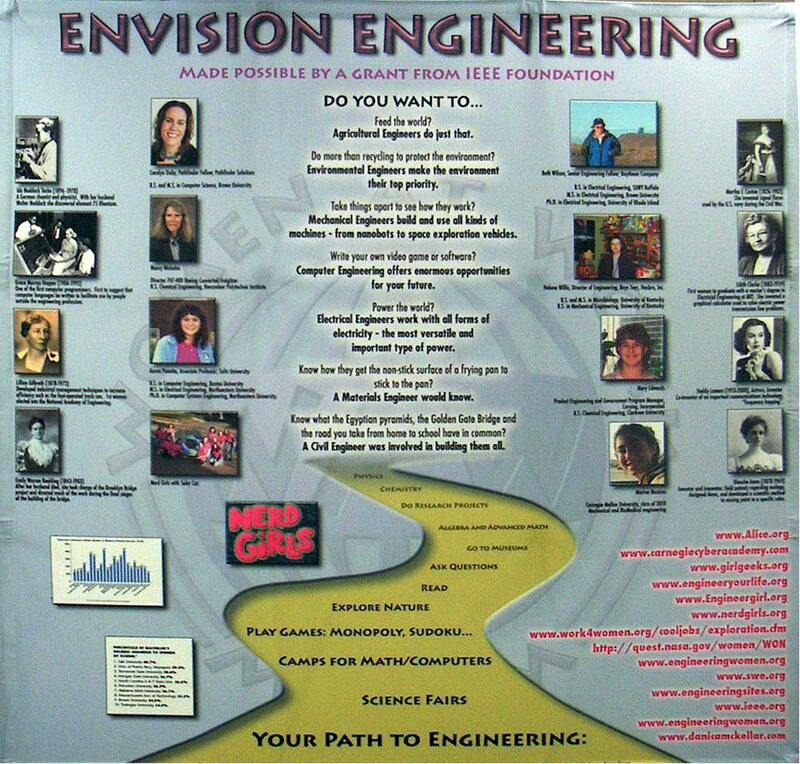 Performed engineering outreach activities to over 7500 Massachusetts school children, parents and educators through the Nerd Girls Program in 2003-2006. Ph.D. in Computer Systems Engineering, Northeastern University. Responsible for instructing computer engineering core courses including microprocessor design, operating systems, digital logic and analog circuits, digital system testing and computer animation. Co-developer of the interdisciplinary Multimedia and arts minor. This was the first program in the United States that paired liberal arts students with engineers. Developed the first interdisciplinary projects in “Sports Engineering” at Tufts University. Created the “Breaking the Stigmas and Stereotypes of Women in Engineering and Science: The Nerd Girls Project.” The program encourages young girls to pursue engineering and science careers and shows all young children that Engineers are cool and very talented. Website: http://nerdgirls.eecs.tufts.edu. 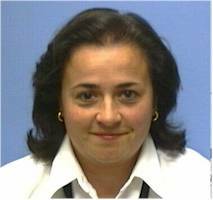 Articles on Dr. Panetta and her award winning team have appeared in ElleGirl.Com, the Boston Globe, August 2002, written by Jena Russell, Newsweek Magazine, September 2002, written by Karen Springen and the IEEE Institute, September 2002, written by Helen Horowitz. Faculty Advisor for the Robotics Academy at Tufts University and Faculty Advisor for the IEEE Student Chapter, which sponsors the “Junk Yard Wars in Engineering” and the IEEE robotics competition. Developed the “Robot Escape!” and “Virtual Student Pets” design projects for the advanced digital design course within the Electrical and Computer Engineering department. Selected by Tufts University President Lawrence S. Bacow to be a member of the Tufts University Task Force on Undergraduate Education. This committee of 5 faculty and 2 students is responsible for designing the future of the Tufts Undergraduate education. Advice – Expectations can make or break you – help them make you! Share experience, knowledge, patience and time – it’s perceived as a gift by others but it’s a reward to yourself! Lead test strategy for a complex radar system being installed on Navy ships. Job description: Lead test strategy for a complex radar system being installed on Navy ships. Work test concepts from manufacturing to system integration and incremental verification of system requirements throughout the lifecycle. Career Journey: Since joining Raytheon in 1983, has worked as a design engineer, program manager, research scientist, functional manager, and test director on sonar, satellite, and radar programs. 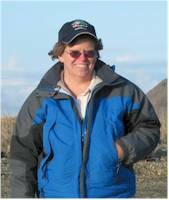 Previous assignments have included a deployment to Shemya, Alaska as the Test Director, a 2-year integration effort for in Virginia, and working as an exchange scientist to Australia. Favorite part of career: Working the over-the-horizon radar that included working with the operators in Virginia and scientists in Australia. Challenges you’ve overcome: In 1983, there were very few women in leadership positions. I was born with a hearing loss and have been a life-long advocate for people with disabilities. I use state-of-the-art hearing assistive technology to keep up with the virtual meeting technology. Preparation for career (education and other life experiences): Earned a PhD in Electrical Engineering from the University of Rhode Island after joining Raytheon. Volunteer work with non-profit agencies has brought in a wider base of interpersonal skills and problem-solving perspectives. Advice: Don’t be afraid to make mistakes, as long as you learn from them and no one gets hurt. Never stop learning – it keeps you fresh and new things that just seem interesting can turn out to be important. Consultant to teams of software developers using a technique called Model Driven Architecture. Lead developer on the PathMATE toolset, which helps transform software designs to executable code. Started at Cadre Technologies (software design tools). It sounds funny for a woman to have fellow in her title. Fellow is a high level technical position and most of my work is technical. I consult to teams of software developers using a technique called Model Driven Architecture. I deliver training, help them structure their software, and assist them until the project is complete. Pathfinder Solutions is a small company so I wear many hats. We offer a set of tools called PathMATE that help transform software designs to executable code. I am the lead developer on the PathMATE toolset as well. I also present at conferences and represent the company in sales and marketing activities. I attended Bishop Connolly High School in Fall River, MA. A local junior college used the school building at night. One of the advantages of this arrangement is that we were able to use the college's computers during the day. Not many schools had computers at that time. I took a computer programming class and was very intrigued by it. In fact, I was so intrigued by it that I got obsessed about finding bugs in my programs. My friend Cara reminded me at our reunion that I said I never wanted to be a computer programmer because it drove me crazy. I entered Brown University as a premed student. I decided to take a computer programming course because although computers were relatively new it was clear that they were extremely useful and would be important to almost any career. I majored in computer science and when I graduated there were many great opportunities. I was a teaching assistant for a class where I met Lou Mazzucchelli, a Brown grad who came to talk to our class about the Cadre Technologies software design tools. I completed a summer coop position at Cadre and accepted a full time position. I entered the masters program at Brown part time while working at Cadre full time. I worked at Cadre for 6 years, completed my master's degree, and learned about software development in the real world from some of industry's best engineers. At Cadre I also met many friends, my husband David Swift, and my future business associate Peter Fontana. After Cadre, I did a brief stint at Fidelity Investments in Boston with a really long commute. It seemed as if it snowed every day and I spent way too much time in the car. Peter Fontana had left Cadre as well and he needed some help with consulting. We founded Pathfinder Solutions. It seemed a bit risky at the time. The notion of starting a company seemed foreign to my family. It was different for me too, but I figured if it didn't work out, I would go get another regular job. The job market at the time was flush with opportunities created by the Y2K repairs. Over the past 12 years, I've had the opportunity to do interesting and diverse work in a flexible environment at Pathfinder Solutions. I like to make things work from simple, elegant designs. The embedded systems industry is interesting because often you are building a tangible device that perhaps you will use yourself. Software is dynamic and there is always something new to learn. The possibilities are endless. Almost everything has software in it. Working for a small company like Pathfinder Solutions offers diverse and interesting work. Software is a male dominated field. When I attended Brown less than a quarter of the class was women and there were no women professors. Don't be afraid of failure. Some of the greatest inventors failed over and over before perfecting their inventions. Take reasonable risks and have a backup plan. To get better at something you need to go outside your comfort zone. Seek out opportunities to do new things. Take assignments that will allow you to see new parts of the business and meet new people. The more skills and experiences you have, the more valuable you become. Also you might discover something that you really enjoy. Take advantage of as many opportunities as you can to learn at school. Don't just skate though. High schools and universities offer so many opportunities to meet people and learn new things. If you skate through, you are wasting your money. Live below your means. You will have the most flexibility when choosing what you want to do. Be persistent. If you really want something, keep at it. Learn to write and speak effectively. In the scientific and engineering fields it is extremely important to be able to communicate your ideas to others. Network effectively. Networking means helping others too. Not just getting things for you. Seek out the smartest and most experienced people to work with. As far as career and family balance, you can have it all, but not all at once. When you have small children, you might not always be the star at work. Just do the best you can on both fronts. My parents had a great deal of influence on my career development. They instilled confidence in me and raised me to feel that I could do anything I wanted to. They encouraged me to go the distance and to be the best I could be. They sacrificed so that I could go to the best schools and took me to countless extracurricular activities. I've been fortunate to study and work with some of the finest professionals in software development. My work with Scott Meyers at Brown University gave me a deeper knowledge of the C++ programming language and Scott is also a model of a really effective technical communicator. I had the opportunity to work with Sally Shlaer of Project Technologies. She was a great innovator in the software design field and an excellent communicator. 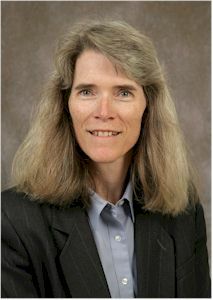 Nancy Nicholas, Director 747-400 Boeing Converted Freighter, Boeing Corp.
Job description – Responsible for the profit and loss of a multi-million dollar program to convert 747-400 aircraft currently flying in passenger configurations to freighters for customers from around the globe. Oversee a design team in Washington, California, and Moscow, Russia. Parts are produced by the Boeing Company and an international network of suppliers and are shipped to China, Korea, and Singapore where the aircraft are modified. Career Journey – My first job after college was in a chemical testing laboratory where I analyzed soil samples from Superfund sites. It was interesting to translate my education into practice, but I was not eager to work around toxic chemicals any longer than necessary. I joined the Boeing Company in Manufacturing, Research, and Development where my first project was to assist in the development of pre-impregnated carbon fiber composite materials for use in the 747-400 cabin interior panels. Working with various suppliers, designers, and mechanics in our factory, we developed materials that met stringent requirements for weight, strength, flammability, and smoke. Over the years, I had the opportunity to work in many different areas including: payloads design, make versus buy analysis, finance, and most recently in program management. I have used my foundation of math and science and built off of that with on the job and formal training along the way. Favorite part of career – Always learning! One of the benefits of working for a very large company like Boeing is that there are so many different jobs you can do over the course of a career. I have had the pleasure of taking on many new roles and exploring many different facets of our enterprise. This variety makes every day exciting. I was also able to take advantage of a wonderful tuition reimbursement benefit that Boeing offers and get my MBA while working. This allowed me to round out my technical skills with more business knowledge. Challenges you’ve overcome – College was a big adjustment. I had to study and work much harder than in high school. It took me some time to realize how much effort it would require. Once I started working, each new assignment required me to learn new skills. This can be daunting at first, but very rewarding as you grow. Starting a family while continuing a career is very difficult – especially if you want to be very involved in both. My husband has been incredibly supportive in my career and with the raising of our children. Preparation for career (education and other life experiences) – I enjoyed math and science in high school and was able to take technical drawing courses as electives since King Philip had a vocational department. I really liked my chemistry teacher and was able to take an advanced chemistry course where I had a broader exposure to the subject. While in high school, I also had the opportunity to attend a week at Stevens Institute of Technology where young women were exposed to various fields of engineering. We had the chance to hear from many different professors, to have some hands on fun with computers, and to see some of what the different departments were studying in their laboratories. I attended Rensselaer Polytechnic Institute and obtained my bachelor’s of science in Chemical Engineering. While working, I went back to school at night and earned an MBA from Seattle University. Advice – If you are interested in math or science – or if you are good at them – look into what careers you can pursue and give one a try. You can do many different jobs over the course of a career – or even change careers – so don’t be afraid to try one and know that you can branch out into something else later. Influences – My parents were always behind me and from a young age I was taught that I could choose any career. Education was always emphasized as important. I also had grandparents (male and female) who had owned their own businesses, so I had plenty of role models to show what you could do if you were willing to work for what you wanted. I participated in competitive sports in junior high and high school. I learned the value of teamwork and how to work at something for a long time. I also had some coaches that really taught us to perservere. Owner of “The Carpenter Aunt” – Design and build furniture and built-ins. 1st career - built some of the first computerized equipment for assembly lines. Wrote software to run machines like time-clocks and electron microscopes. With a friend, started our own business building test equipment for companies like Ford and General Electric. Job description: Currently I design and build furniture and built-ins. But in my 1st career I used to build some of the first computerized equipment for assembly lines. After the manufacturing companies began to leave the United States I wrote software to run machines like time-clocks and electron microscopes. 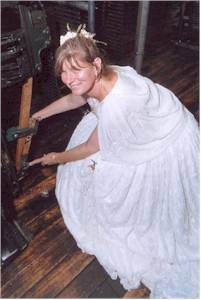 Career Journey: I first worked for 3 months making shoes in a shoe factory in Wakefield MA. It was horrid so I decided college was a very good idea. In between college attempts I worked as a mechanic for Polaroid for 2 years. This gave me a very strong design background for building machines. After graduation I worked building computer controlled machines for assembly lines for 6 years. A friend and I started our own business building test equipment for companies like Ford and General Electric. When the company folded in the recession of 1980 I started writing software for companies who sold machines. 1st time clocks, then raid storage units and finally electron microscopes. Favorite part of career: Being a partner in my own business. We built data acquisition instruments for testing products coming off of assembly lines. I had the opportunity to design and build some of the very 1st computerized assembly line equipment. It was awesome to see all of the things that machines could do when you attached them to a computer. We also traveled a lot in our own airplane to different parts of the country to visit customers. Challenges you’ve overcome: Getting accepted into and graduating out of engineering school. When I graduated from high school in 1969, most small engineering schools would not accept women. Then they passed Title IX of the Education Amendments of 1972. This opened up enrollment of women into any engineering department that had women attending other departments in the college. When I was in school I was the only girl. It was scary to be so different and to have no one to talk to who understood what my life was like. College was very difficult for me because I am the 1st woman in my family to graduate from high school, much less go to college. I had no roll models for choosing a profession, for studying, or for knowing how to fit into a college atmosphere. When I graduated from high school I didn’t know what I wanted to do because I had never been exposed to women who worked (other that assembly line work or housework). I started at University of Mass in Boston because my guidance councilor in high school told me that girls couldn’t go to engineering schools, but that since I liked math I should be a high school teacher. I hated teacher’s school. Then I went to University of Maryland as an interior design major for 6 months and then dropped out because I still hated school. Because of my step mother, I got a job working on an assembly line for Polaroid making cameras. While on the line, I met an engineer who let me test the equipment he built. This led to being a mechanic for 2 years. At this point I knew what I wanted to build machines and more importantly, because Title IX had been passed, most engineering schools had to accept women students. I was the 1st woman student accepted as a mechanical engineering student at Northeastern University in decades. I graduated from Northeastern and I loved it because I was studying something I liked. Preparation for career (education and other life experiences): I, and most of the other women mechanical engineers of my age that I have met, got into engineering through fashion and sewing. First because sewing machines are very technical and require a mechanical mind to keep them going. And second, because designing clothes is not very different from designing machines. You need to think up an idea, you have constraints to work around, you have to make whatever you designed, you have to fix your mistakes, and finally you have to live with what you made. My many jobs before going to college as a mechanic and working on assembly lines has made it easy for me to understand what makes a machine easy to fix or difficult to use. Advice: Never say “I can’t”. Instead say something like “I don’t want to” or “I can’t yet”. When I was 10 years old I refused to watch the moon landing because I said “they would never let girls go to the moon”. Sally Ride, the 1st women in space, was born only 18 days after me. If I hadn’t been so negative I could have gone to space with her. Because of that lesson I got my Mech E degree when women usually didn’t. I have owned my own engineering firm. I have lived in England, bicycled from San Diego to Denver when I was 49 years old. I have a collection of 100 or so antique party dresses dating from 1867 to 1938. And, I am now trying to start a new business making furniture. Influences: My grandmother. She grew up on a farm and during the time when women were fighting for the right to vote. It seemed to me that she could do anything and everything. In the 1920’s, she made silk shirts for Chicago gangsters and flapper dresses for gangster’s girlfriends. She helped design and build early airplanes. She did demonstration ball room dancing at the Parker House Hotel. In the depression, as a single Mom, she hunted birds, fished and raised chickens during the day and wrote poetry and tatted lace in the evenings. 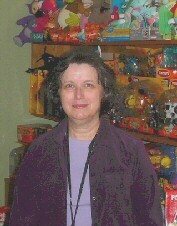 Helena Willis, Director of Engineering, Boys Toys, Hasbro, Inc. Oversee product development and project planning for the boys’ toy division including cost estimating, tooling, quality adherence and reliability. Engineering internship at Johnson Controls became her first job after graduation as a manufacturing engineer. Joined Kenner Toys as a design engineer, which was subsequently purchased by Hasbro. Job description: Oversee product development project planning for an assigned brand/division to include schedule adherence, product cost estimating, tooling, budgeting, quality adherence and reliability. Responsible for estimating and monitoring an engineering budget against foreseen and unforeseen product mixes; as well as controlling internal and external expenditures as project deadlines shift. Manage internal and external working relationships with all interrelated business partners to ensure timely quality product development. Career Journey: Began with an engineering internship at Johnson controls, Inc while working on engineering degree, followed by 5 years as a mfg eng. at the same company. Joined Kenner toys in 1988 as a design engineer and rose through the engineering ranks to my current position at Hasbro (Kenner was purchased by Hasbro). Favorite part of career: The fast pace of working for a toy company. Challenges you’ve overcome: Being a woman engineer in the 1980’s was still relatively new and I often felt I had to go the extra step to prove myself. Despite strong skills in math and science, I was never encouraged to go into engineering or technical fields while in high school. Preparation for career (education and other life experiences): BS and MS in Microbiology followed by return to college to pursue Engineering degree. BS in Mechanical Engineering. Advice: Develop strong communication skills. Influences: My dad encouraged me to work on my car, use tools and build things. 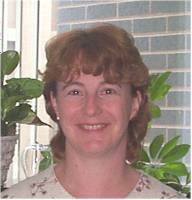 Mary Edwards, Product Engineering and Government Program Manager, Corning, Inc.
Career: Chemical engineer with Corning Glass Works. What I do: I supervise product engineering for our Advanced Products business, where engineers interface between our customers and our manufacturing facility to define product specifications. The products I am responsible for are glass mirror blanks, used in lots of different types of telescopes. Several program managers also work for me, and I help make sure all of our large projects go smoothly and meet our customer requirements. I also support our manufacturing department, given my experience in process engineering and manufacturing technologies used within our business. I spend quite a bit of my time working directly with customers. Sometimes I attend technical conferences and present papers I have written to large audiences. Career Journey: I began my career as a chemical engineer with Corning Glass Works. They had a factory near my college that didn’t make dishes; they made specialty products, including windows for the Space Shuttle and telescope mirrors for some of the world’s biggest observatories. The glass-making process I saw during my job interview was intriguing. Our glass is the purest, and it is made from gases reacting in a hot furnace, not from melting sand as in traditional glassmaking. There were obvious chemical aspects to the process, and it seemed like there was a little “black magic” to it as well. This sounded more interesting to me than working in a big chemical processing plant. Little did I know I would likely spend my whole career at this one manufacturing facility. I have been with Corning now for 25 years. I have worked as a process engineer in the glass forming area, was a shift supervisor for that department, moved into Quality Assurance where I learned about our other products, and then I took a job as a product engineer in our mirror-making business. For the last 15 years I have worked in this area, including four years where I managed the production department. Likes/Dislikes about career: My top three “likes” about my career are the leading-edge technologies we use, being part of the science that explores and strives to explain the universe, and the places in the world I have been able to experience as I traveled to visit potential customers or see our mirrors in mountain-top observatories. I have been to France, Sweden, Germany, Spain, and Japan, as well as many U.S. states. Probably my favorite is Hawaii, as I helped make two giant telescope mirrors that are located on the summit of Mauna Kea, and I have had the opportunity to visit them several times. About the only “dislike” I have is that the balance between my career and my personal life has not always been easy, but it is manageable. Some times you have to sacrifice one a little for the other, but in the end, both are very fulfilling and satisfying. I am very proud that I am able to give fully to both, and hope my daughter will be a stronger, more independent, and productive person when she enters the workplace, having seen me enjoy my job and career. Preparation for career: I enjoyed math and science when I was in high school. I decided to attend Clarkson University as a math major, but in my freshman year I switched to Chemical Engineering. There were only a few girls in my classes; Clarkson was an engineering and technology college, and predominantly male. I applied at many companies upon graduation, and chose to start my career at Corning. Advice: I would advise students to study hard, but just as important, take time for other activities, whether your interests lie in music, sports, community service, art, theater, or something else. Being a part of a team or a club will give you a chance to interact with others, develop communication skills, learn to manage your time, as well as just to relax! Take advantage of opportunities to job shadow different vocations, to get an idea of what different jobs are like, and talk to people you know about their work. Influences: My mother was a big influence in my pursuit of a technical career. She worked in a bank, and progressed from a teller to a loan officer, back in the days when there were few woman managers. She always supported me and had confidence in me. She had high expectations and hopes for me, which helped me to work hard to show her what I could accomplish. Marina Musicus is studying Mechanical and Biomedical Engineering at Carnegie Mellon University. 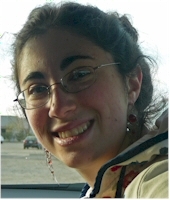 She is a Judith Reznick scholar and hopes to attend graduate school in Biomechanical Engineering and later work in the field of prosthetic limb design. In her spare time, Marina enjoys working as an EMT, organizing community service projects for the Carnegie Mellon chapter of the Society of Women Engineers, building robots, and folding origami. One year after graduation, Blanche married Oakes Ames and moved to North Easton. Between 1901 and 1910, she and Oakes had four children. While raising her children and maintaining the family’s winter and summer households, Blanche found time to create an extensive body of portrait work, develop a color chart system, and collaborate with Oakes on his botanical publications. Although her family and her art were her primary concerns, Blanche actively pursued a variety of other interests. 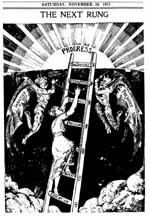 A lifelong supporter of woman suffrage, Blanche produced a series of political cartoons that received national attention. In 1916, she co-founded the Birth Control League of Massachusetts, an affiliate of Margaret Sanger’s national group. During World War II, having noticed that thread could snarl and jam a sewing machine motor, Blanche used that same principle to design a device to ensnare low-flying aircraft. The machine was demonstrated on the lawn at Borderland for guests from the Pentagon. Although accepted by the U.S. Army, it came too late for practical application in the war. Angered by a passage in John F. Kennedy’s Profiles in Courage, criticizing her father as a “carpetbagger,” Blanche set out to write a biography that would vindicate him and “correct” history. She was eighty years old when she began the project. The research took six years, and in 1964, Adelbert Ames: Broken Oaths and Reconstruction in Mississippi was published. Blanche Ames and Oakes Ames came from prominent but unrelated Massachusetts families. Among their ancestors were blacksmiths and manufacturers, congressmen and governors, generals and yachtsmen, farm wives and—Blanche’s grandmother—a Shakespearean actress. The mansion’s exhibits tell the stories of many of theses people. The ship Hercules brought the forebears of Oakes Ames to Massachusetts in 1638. Several generations of farmers and blacksmiths later, John Ames of Bridgewater became the first American to manufacture shovels. Within a few years, the colonists no longer needed to import shovels from England In 1803, John’s son, Oliver Ames, moved to North Easton where he founded the Ames Shovel works company. The company developed a lightweight shovel much favored during the Gold rush, the settlement of the Northwest Territory, and the Civil War. The Ames shovel was so highly regarded that at one time it was used as “legal tender” on the frontier. Oakes’ son Oliver continued the family’s political involvement serving as Governor of Massachusetts from 1887 to 1890. It was his son Oakes who pursued a career in botany and developed Borderland. Blanche’s family roots also go back to colonial Yankee stock. Her mother’s side of the family included veterans of the French and Indian War, the Revolutionary War, the War of 1812, and the Civil War. Her most famous forebear was her maternal grandfather Benjamin Franklin Butler. He proved himself a military leader of high caliber as a General of the Union Army during the Civil War. In 1864, President Lincoln asked Butler to be his running mate for his second term. Butler declined, believing he could better serve the interests of his country by remaining in the army. Had he accepted, Ben Butler—not Andrew Johnson—would have become President following Lincoln’s assassination. After the Civil War, Butler resumed his political career. He returned to Lowell, Massachusetts, and was elected to the House of Representatives. During his years in Congress, he led successful fights for the first Civil Rights Act and a bill to curb the activities of the Ku Klux Klan. In 1882 he became governor of Massachusetts. Two years later, Butler ran for President of theUnited States on the third party Greenback ticket. Martha Coston perfected then patented her deceased husband’s idea for a pyrotechnic flare. Coston’s husband, a former naval scientist, died leaving behind only a rough sketch in a diary of plans for the flares. Martha Coston developed the idea into an elaborate system of flares called Night Signals that allowed ships to communicate messages nocturnally. The U. S. Navy bought the patent rights to the flares. Coston’s flares served as the basis of a system of communication that helped to save lives and to win battles. 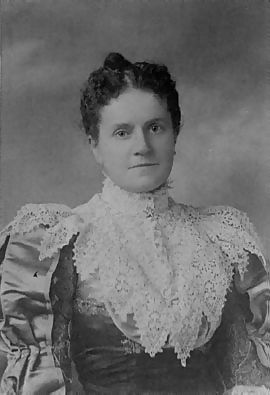 Martha Coston credited her late husband with the first patent for the flares, but in 1871 she received a patent for an improvement exclusively her own. Martha Coston invented a system of maritime signal flares based on color and pattern. Using various color combinations, these flares made ship-to-ship and ship-to-shore communication possible. In February 1859, C.S. McCauley, Captain and Senior Officer of the United States Navy, recommended the signals to the Secretary of the Navy, Isaac Toucey. Coston sold her system to the U.S. Navy for $5,000, and later sold the U.S. patent rights to the Navy for $20,000. Her system was also adopted by the governments of France, Italy, Denmark, the Netherlands, and Haiti. Agricultural Engineers do just that! Do more than recycling to protect the environment? Environmental Engineers make saving the environment their top priority! Take things apart to see how they work? Mechanical Engineers build and use all kinds of machines - from nanobots to space exploration vehicles. Write your own video game or software? Computer engineering offers enormous opportunities for your future. Electrical Engineers work with all forms of electricity - the most versatile and important type of power. Know how they get the non-stick surface of a frying pan to stick to the pan? A Materials Engineer would know. Know what the Egyptian pyramids, the Golden Gate Bridge and the road you took from home to school have in common? A Civil Engineer was involved in building them all. Agricultural engineering is a discipline that combines engineering science and agricultural knowledge in order to ensure food security. Agricultural engineers deal with the development and improvement of cultivation methods and livestock production systems as well as processing engineering. They eventually design machineries and structures for alternative energy systems such as bioenergy. Based on statistical analysis of the agricultural sector itself, land and weather conditions, available raw materials and other factors, Agricultural Engineers also assist in policy decision making by project planning and analysis. Agricultural processing engineering describes all processing steps that an agricultural product runs through before ending on the consumer's table including on-line computer control of food processing operations, modelling heat transfer mechanisms during thermal processing and developing of smart food. It also analyses the foods own characteristics for example the flow behavior of powder and granular food products; aseptic aspects; food biosensors. Mechanical Engineering is an engineering discipline that involves the application of principles of physics for analysis, design, manufacturing, and maintenance of mechanical systems. Mechanical engineering is one of the oldest and broadest engineering disciplines. It requires a solid understanding of core concepts including mechanics, kinematics, thermodynamics, fluid mechanics, and energy. Mechanical engineers use the core principles as well as other knowledge in the field to design and analyze motor vehicles, aircraft, heating and cooling systems, watercraft, manufacturing plants, industrial equipment and machinery, robotics, medical devices and more. Computer Engineering (also called Electronic and Computer Engineering or Computer Systems Engineering) is a discipline that combines elements of both Electrical Engineering and Computer Science. Computer engineers usually have training in electrical engineering, software design and hardware-software integration instead of only software engineering or electrical engineering. Computer engineers are involved in many aspects of computing, from the design of individual microprocessors, personal computers, and supercomputers, to circuit design. This field of engineering not only focuses on how computer systems themselves work, but also how they integrate into the larger picture. Q: Hi, You have a really wonderful site. I am the parent of a seven-year-old, second-grade girl who appears to have an aptitude for math, science, and engineering. Her favorite toys are building toys (tinker toys, KNEX, legos, Bionicles), she is fascinated by how things work, she is good at math, and she has scored extremely high on the quantitative and nonverbal (spatial relations) portions of her cognitive aptitude tests. Clearly, she is wired for these activities and enjoys them, too! What is the difference between engineering and design or drafting? What is involved in being an aerospace engineer? Did your education fully prepare you for a profession in the engineering field or were there some surprises along the way? What is/was one of the biggest obstacles you’ve had as an engineer? Is your job fun or is it “just another day at the office” and why? What did you education consist of? Since you work with NASA, do you also learn about the other things that go on there? Do you ever regret choosing this career path and why? Thank you very much for your time. If you have anything else you’d like to tell me, I would be so happy to hear it. I’m looking forward to hearing from you!!! Thanks again! 2. My education did prepare me for my career. But there are always surprises. One major surprise was the first Space Shuttle disaster. I graduated that spring and realized the jobs I wanted to work on were at a standstill. I decided to go to graduate school. 3. When attending MIT I was ill prepared for the level of mathematics that I was expected to have mastered. Also, as a practicing engineer money and time are never enough. 4. My job is great. I really like the fact that I am always learning something new. My days are never the same. 6. All the time. We are sent lots of announcements, have workshops and lectures that are available to all employees. 7. Nope. But I think about extending my knowledge to other fields. 8. I love teaching and speaking about what I do. What is it like for women in engineering? Q: I am Ethel, a Nigerian. Please, I would like to know how as a woman you fare in the world of engineering. What are some good colleges and universities to study mechanical engineering around the world? Thank you.